Set includes 1 player car, 41 cars and drivers that participated in the 2009 season at the Centre for Speed, both part time and full time. Makes include Honda Civic, Honda Accord, Chevy Cavalier, Toyota Carolla, Nissan Sentra, Alero, and Honda Prelude. Zip also includes the Goody's Dash body, which is the body intended for these cars. I included it because Sledge's site is down. 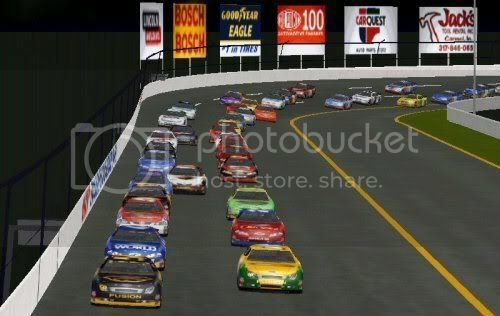 This download contains a carset based off of the 2008 Carquest Maritime Pro Stock Tour, which is a Late Model series that tours Atlantic Canada with races in New Brunswick, Nova Scotia, and Prince Edward Island. There are 41 cars in the set, including 2 player cars, and 1 car tha Ron Hornaday ran as a one time promotion at Scotia Speed World. These cars were painted for any late model body for N3. Enjoy. 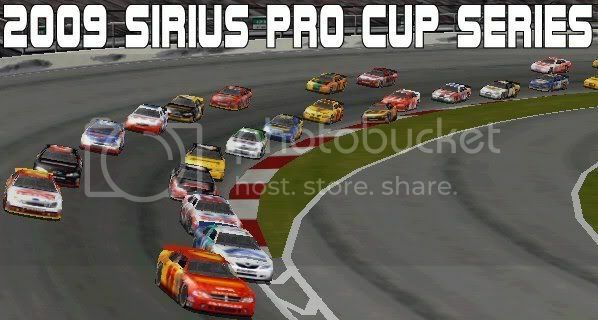 The 2009 roster for the Sirius Pro Cup Series! 40 drivers make up this set in 6 different makes: Chevrolet Impala SS, Pontiac G8, Ford Fusion, Dodge Avenger, Toyota Camry, Honda Accord. Almost every car received a make-over. There is one car I need to give credit to Savatoon for, as I used one of his n99 bases. This set is best used with the 06a body from pontiacfan's site (see my links page), and with the Hoosier tire patch (also at pontiacfan's). Download, and have a blast. The BOSCH 4-Cylinder receives it's 2009 makeover! In this set are 45 cars, including part-time rides and full time rides. These cars are based of off the 4-Cylinder Series from Centre for Speed in Moncton, New Brunswick, Canada. However I have taken the liberty, starting last year to make them and add a fictional flare to the BOSCH series. In 2009 the series opens up to a touring division, with 4-cylinder cars meeting more of a spec body design. basically all body panels are removed and sheet metal added to specifications. In this set Chevrolet Cavaliers, Ford Tempos, Ford Probes, Honda Preludes, Honda Civics, Honda Accords, 1 Nissan, Dodge Neons, Dodge Spirits, and Pontiac Sunfires are represented. Also teams grew a tad from the 2008 set. The set should be used with Sledge's Goody's Dash series body. Since his site is dead, I included the body. Ever wonder what would happen if NASCAR started a truck feeder series, kinda like the Busch/Nationwide Series? Well, here's how it might look like. Most of these trucks are my 2008 Nationwide cars converted into trucks. And since this would be more money spent by the teams, I tried to take into account lower end teams not being able to afford more than 1 truck, or no trucks at all. And to top off the field, some Truck series only teams emerge, as they would already have truck equipment. Have fun, and enjoy. These cars are best used with that body, plus the Hoosier Tire patch. Some of the cars bases were painted by Savatoon, and are noted in the car's bio. This zip contains 40 cars in the following makes: Ford Fusion, Chevy Impala SS, Pontiac G8, Toyota Camry, and Dodge Avenger. The download below is the entire 40 car BOSCH 4 Cylinder Series set, the list, and the cars.dat file. I am in no way taking credit for the body. It was created by Sledge6, but his site is now dead. I am includng the cars.dat in the download because it appears that Sledge's site is down. You just have to extract all these into a cars folder and your set.